Port Hedland has a number of beaches that are perfect for a quiet walk, for the kids to play on the sandstone formations, a bit of bird watching or even turtle viewing in season. 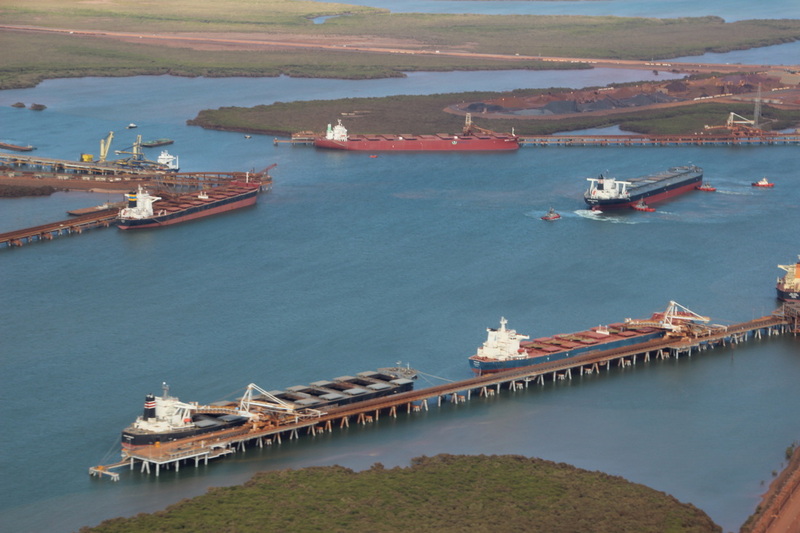 BHP Billiton shipping iron ore out of Port Hedland. 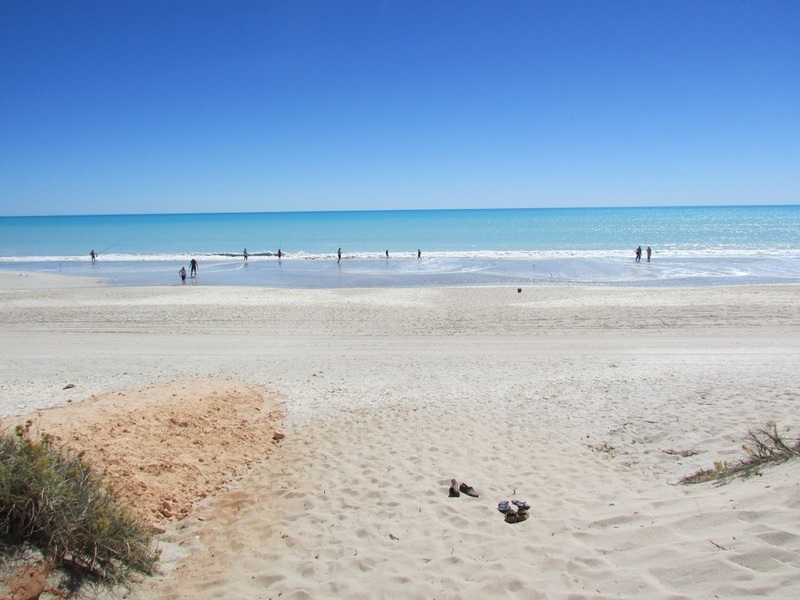 Eighty Mile beach, near Port Hedland. The times for the rising moon are in the local telephone book, they are also displayed monthly at the Port Hedland Visitors Centre. 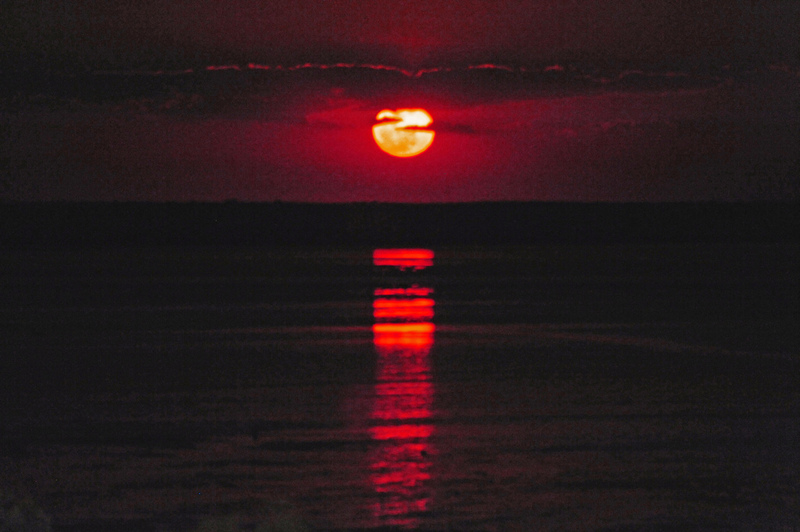 The best vantage spot is next to the Cooke Point Caravan Park (Goode Street) in Port Hedland. There is a viewing deck set up especially for this natural occurrence. Note: A super full moon occurs when the moon's closest to the Earth, during this time the moon may seem bigger and brighter. 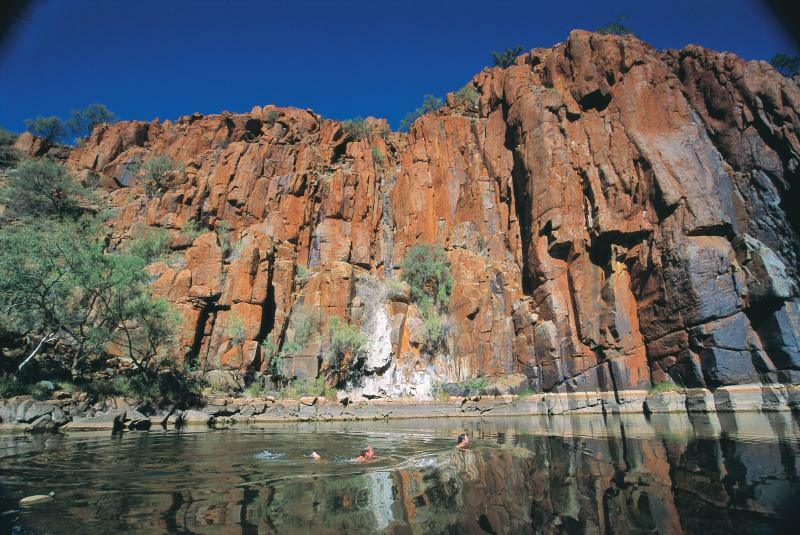 Here are a few handy links to help you enjoy your time in Port Hedland. 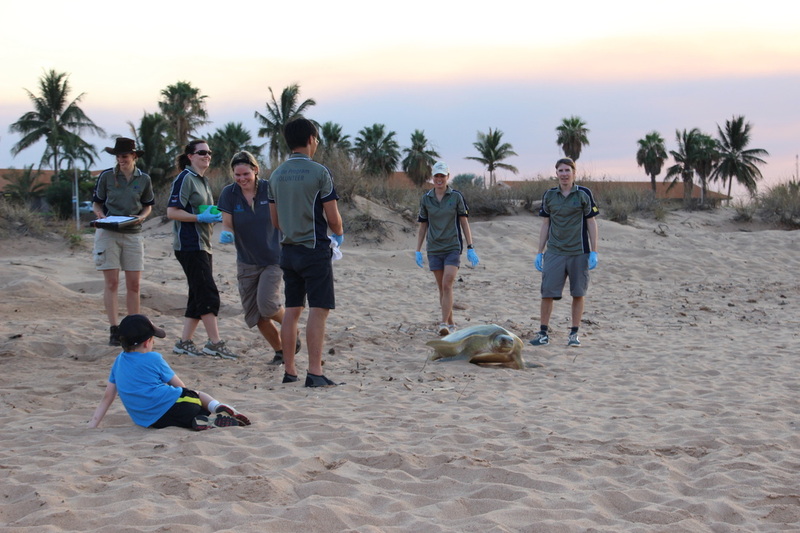 Care for Port Hedland's Flatback Turtle Program in action on the beach. Swimming at Millstream Chichester National Park. 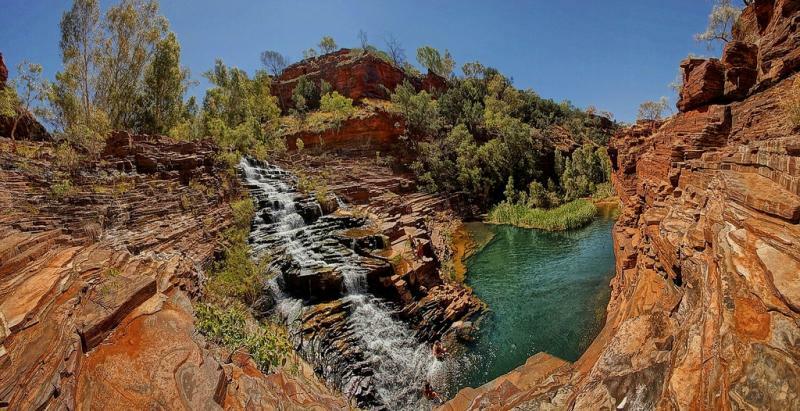 Fortescue Falls, Karijini National Park. 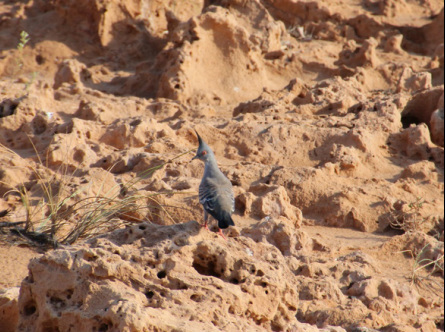 Top Knot Pigeon on the sandstone cliffs Port Hedland. There are over 373 species of birds to be seen in Port Hedland and the Pilbara region. Here are some useful links.